Students line the hallways, on their knees, heads down. No one talks. No one whispers. All 1,350 people are quiet. 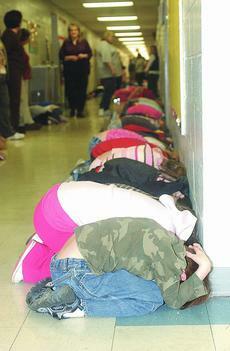 This is what Taylor County Elementary would be like in the event of a tornado. At 10:07 a.m. Tuesday, a statewide tornado drill went into effect. The National Weather Service conducts the tornado warning test, activating NOAA weather radios and broadcast media, allowing schools, businesses and residents across the state to participate in the annual tornado safety drill. Because of his appearance, some may believe he's homeless. His often loud, unintelligible mumbling might make some scared of him or believe he is dangerous. But Eric Hayes, who can often be seen walking along the streets of Taylor County in well-worn military attire, has an apartment where he can rest his head at night and money for food and clothes. 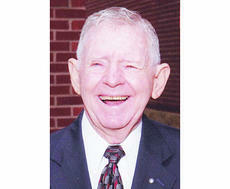 Those who know Hayes, however, say they believe he is content with walking the streets and wearing his tattered clothes. And several people in the community, family and strangers, check on him regularly. Walk into any classroom at any of Campbellsville Independent's three schools and you'll find state-of-the-art technology in use. All classrooms within the District are now equipped with Smart Boards, an interactive white board designed to engage students by offering them hands-on activities. 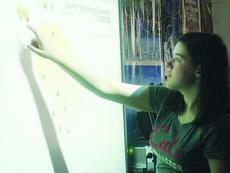 Campbellsville High Spanish teacher Javier Lopez said the Smart Board offers a fun learning option. "They just think they are playing, but they are learning a lot," he said. "That is what counts for me." One person was injured in a two-vehicle collision Sunday in which one vehicle caught on fire. According to a Campbellsville Police report, at about 2 p.m., a 1999 Ford van, driven by Lawrence Vaughn of Jeffersontown, Ky. rear-ended a 2008 Chevrolet Tahoe driven by Teressa Germain of Campbellsville. The collision occurred on East Broadway, at the intersection with Durham Street. Vaughn's van, which was pulling a boat, caught fire following the collision. Campbellsville firefighters extinguished the fire. USDA Natural Resources Conservation Service in Kentucky is accepting applications for the Wetlands Reserve Program. Upcoming application ranking cut-off dates are March 15, May 1, June 15 and July 31. WRP applications are continually accepted and those applications received after the cut-off dates will be deferred until the next ranking cycle. The state of Kentucky, the city of Campbellsville and the county of Taylor are hotbeds for basketball. Campbellsville and Taylor County kept their boys' high school basketball seasons alive and advanced in post-season play to this week's Fifth Region Tournament at Nelson County. It was the Eagles' 22nd overall district boys' crown and the eighth since Tim Davis came to guide the Eagles before the 1995-96 campaign. During that 15-year span, the Eagles have made 10 trips to the Fifth Region Tournament. Dr. W.R. "Randy" Davenport, president emeritus at Campbellsville University, will be the chapel speaker at CU's Heritage Day at 10 a.m. Wednesday, March 3 at CU's Ransdell Chapel. Davenport, who served as president of Campbellsville College from 1969 to 1988, will discuss the sacrifices made resulting in the institution's ability to move forward during the annual Heritage Day presentation. The public is invited. District champions Green County, Marion County, Nelson County and Elizabethtown posted first-round wins at the Fifth Region Tournament on Monday and Tuesday at Hart County. Sophomore Micah Jones scored 30 points as Green County’s Lady Dragons pulled away from Bardstown 63-49 and Marion County’s Lady Knights out-scored North Hardin 23-11 in the third quarter en route to a 59-38 triumph in Monday night games in the Fifth Region Tournament at Hart County. 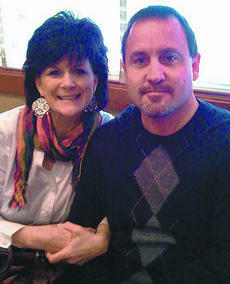 Kent and Karen Noe celebrated their 25th wedding anniversary at Olive Garden this past Saturday. 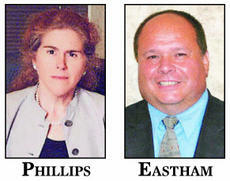 The couple were married Feb. 28, 1985, in Columbia by Minister Charles Rickman. They have two children, Joshua and Kelli Noe. Kent Noe is the son of Sara Noe of Greensburg and the late Jackie Noe, while Karen Noe is the daughter of Sonny and Mary Jane Williams of Columbia. The couple have planned a cruise in April to continue their celebration. Chris Anderson, license to be in possession, proof filed, dismissed. Laurie A. Bryant, no/expired registration plate and receipt, proof filed, dismissed.